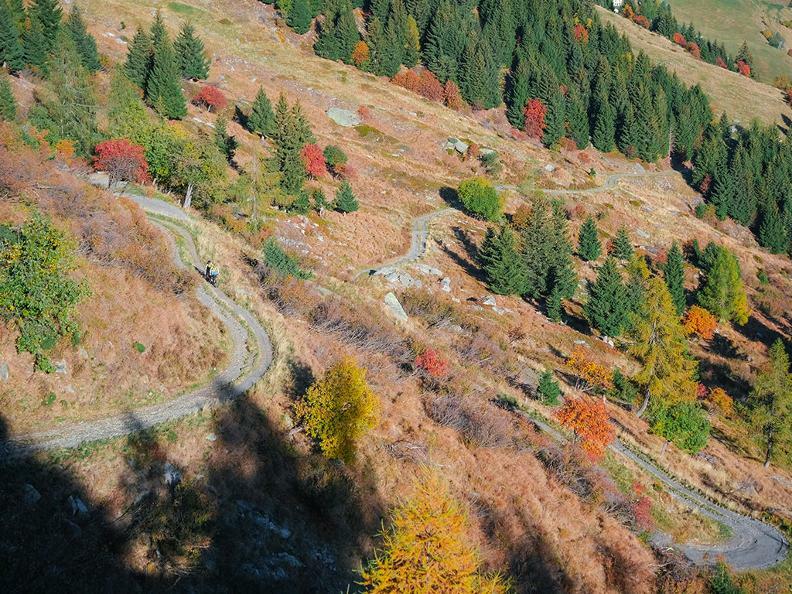 Discover the Nara region on this trail with unparalleled views that take in the whole of the Blenio Valley. 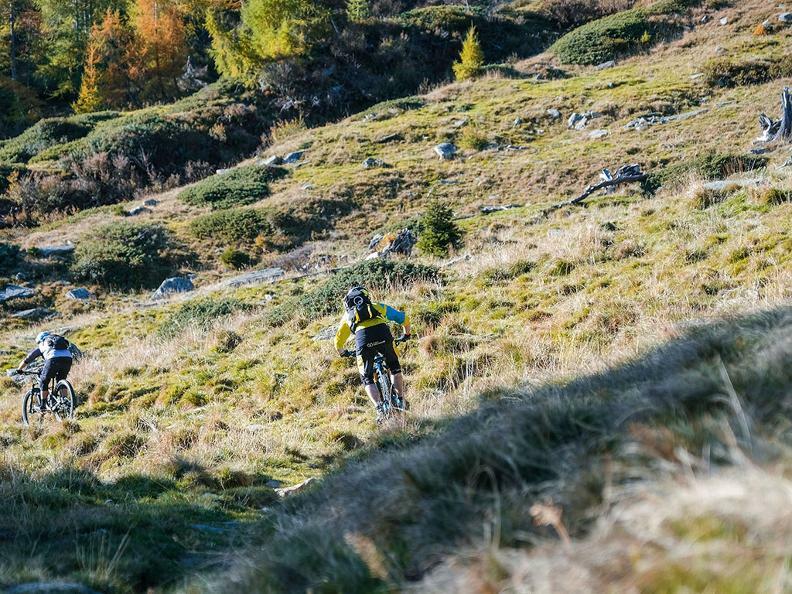 Both physically and technically challenging, this will suit more advanced mountain bikers with mixed-difficulty sections that promise thrills and adventure. 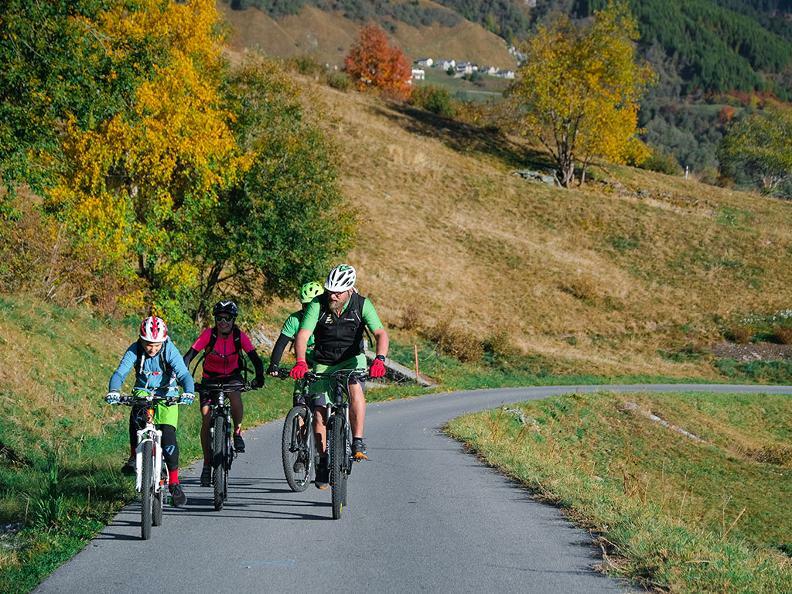 From the Acquarossa-Comprovasco bus station, proceed on the asphalt road to Monte Foppa, passing through Corzoneso, Leontica and Cancori: this road follows around 14 km of the route used for the popular “Blenio Gold Race” cycle race. The steep climb can be made easier by using the Leontica-Cancorì chairlift. We recommend checking the lift opening hours in advance (www.nara.ch). Continue along a less steep, dirt-track section to Alpe del Gualdo and then follow an easy single track to Alpe di Garina. The 7 km that follow involve a descent of 1100 m towards Comprovasco along a mixed single track comprising various technical sections alternating with more flowing parts. In the lower section there are various points at which bikers have to cross roads open to traffic (although they are not busy), so caution is required. 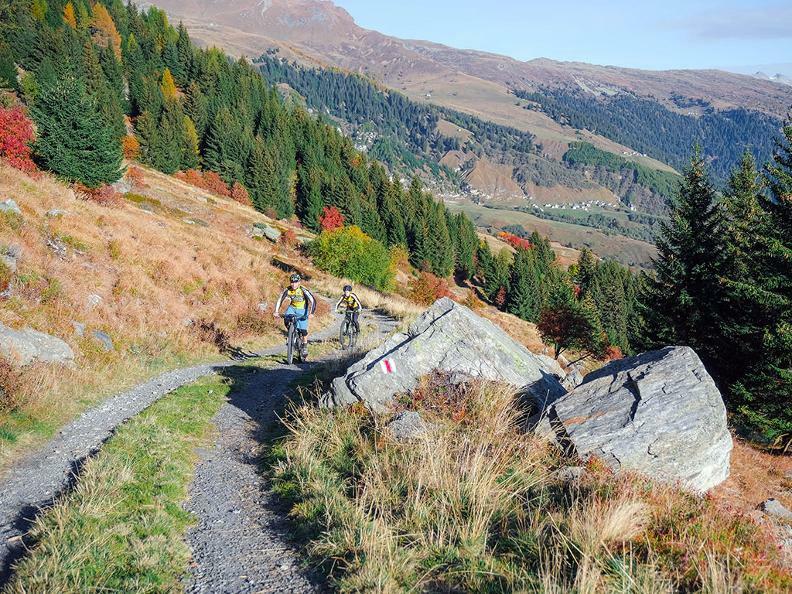 The final part of the trail, from Corzoneso to Acquarossa, includes a number of difficult sections where signs invite bikers to dismount and continue on foot for short stretches.